Three leaders, three speeches and one theme. That was the status of British public speaking last week. Not dissimilar to watching clone reality TV across all the new digital terrestrial channels. 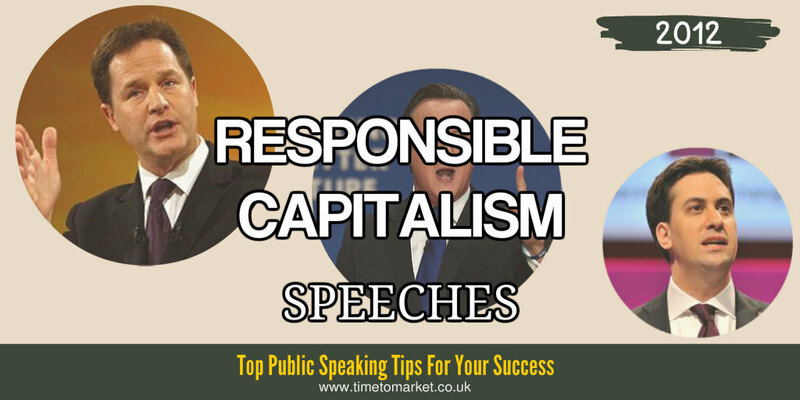 David Cameron, Nick Clegg and Ed Miliband all took the crisis of capitalism as their theme for responsible capitalism speeches during the week. The speeches didn’t exactly detail the problem beyond vague slogans. In fact that was a feature of all three responsible capitalism speeches. Not much clarity. If he is serious about tackling irresponsible capitalism he needs to clamp down on the fact that train companies are ripping people off. If he is serious about tackling irresponsible capitalism he needs to take action to break up the rigged energy market. If he is serious about tackling irresponsible capitalism he needs to take action to stop those exorbitant bank charges. That is the route to a safer, more stable, more prosperous economic future. This is how we will spread wealth and share rewards. An economy where people who work hard get rewards which are fair in the true Conservative meaning of the word. …because they’ve started their own business, or are shareholders in the company they work for, or are part of a co-operative. I want these difficult economic times to achieve more than just paying down the deficit and encouraging growth. I want them to lead to a socially responsible and genuinely popular capitalism. One in which the power of the market and the obligations of responsibility come together. One in which we improve the market by making it fair as well as free, and in which many more people get a stake in the economy and share in the rewards of success. But there were some issues with all these speeches. Ed Miliband’s speech style still has the resonant style of an earlier Labour party leader. So, we heard. It’s an antiquated way of speaking that was in character with party leaders 20 or 30 years ago. As this debate moves forward, we need to be clear about what we mean. Because, whether you call it a new economy, an ethical economy, moral markets, responsible capitalism, there is a big difference between having strong views on bonus culture or excessive top pay and wanting real change in the practices and principles that guide corporate life. It wasn’t lost on his audience that Nick was far from clear. …to get a good job. To own a home. To start a business. Three speeches. Three leaders. One theme. Yes, I can do it as well. You can always discover plenty of public speaking tips with our series of tips, podcasts and videos. 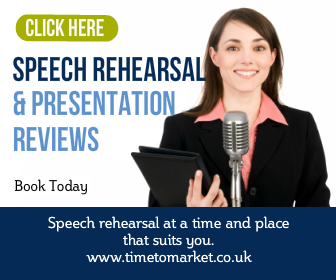 And with more than 100 top tips to review, there’s something for every public speaking opportunity. 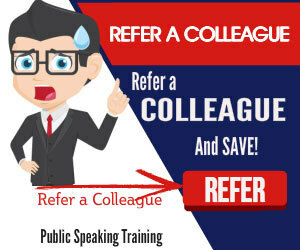 And when you need more intensive public speaking support, then don’t forget that a well-timed course or coaching session always pays dividends. So, when the time is right, please don’t hesitate to get in touch.